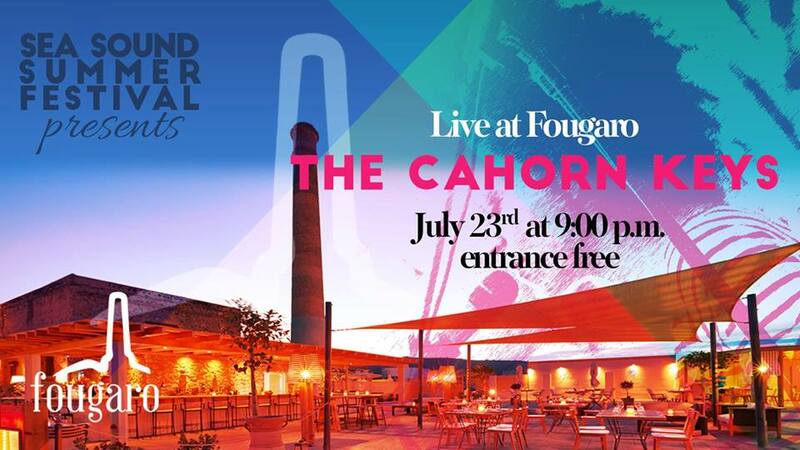 The Sea Sounds Summer Festival 2017 begins at a restored tomato paste factory, at Fougaro Beach Bar with The Cahorn Keys opening the music festival on 23 July. The music band The Cahorn Keys count several live performances in Athens and the province combining different kinds of music genres such as Soul, Funk, RnB including Jazz and a sense of trip-hop. At Perivolos Beach, at 21.00. Entrance is free.